Of course, there is a profound follow up question to this first question. It is one thing to ask what others think about Jesus; answering the question can be done in a classroom. But Jesus next made the question intensely and inescapably personal: “But who do YOU say that I am?” Now it no longer matters what other people think. The question He poses He poses to you, and you must answer it. You cannot escape answering it. And if you need help answering it, there really are only three valid options: either Jesus was a liar, a lunatic, or the Lord that He claimed to be. You may ask, “Why can it only be these three choices?” Because only these three choices actually take seriously the historical facts about Jesus. If we say Jesus never existed we are ignoring the historical facts that testify to the truthfulness his life and death. If we say Jesus was just a good teacher, or a prophet like Mohammed, or a Buddha, or a highly morally evolved human being, we are ignoring the historical facts about what Jesus actually said concerning Himself, and we are creating and postulating a fictional Jesus. But if we take all the facts together, of his life and his teachings, we have but three options: He was liar, or He was a lunatic, or He was the Lord that He claimed to be. Surely any man that claims to be the Son of God, that claims the worship of the entire world, and that claims power over the grave for Himself and for every one who believes in Him, is either totally out of His mind, lying, or is in truth who He is claiming to be. We can safely dismiss all other options. The apostle Paul was a man who at one time believed that Jesus was a false and wicked blasphemer, and he had devoted all his human energy to putting a stop to the worship of Jesus as the Son of God. He thought that the crucifixion of Jesus was exactly what Jesus had deserved, and that all those who believed in Jesus should likewise be punished. He was convinced that he was doing God’s will by wreaking havoc of the Church. It is this same man that wrote the passage that we have before us, Colossians 1:15-18, extolling Jesus as his God and his Lord and his entire reason for existence. Paul’s mind had changed about Jesus. And if you do not believe in Jesus, so can yours. No matter how firm your conviction may be against Jesus Christ as Lord, your mind can yet be changed. You may be like Paul, kicking against the goads, fighting a hopeless battle against God Himself, until the day comes when you cry out in defeat, “Who are you, Lord?”, no longer with an attitude of defiance and skepticism, but of surrender and submission to His Lordship. Paul learned who Jesus really was: far from being a blasphemer who deserved the cross, Paul realized that Jesus was His God, and that He had died on the cross not because He deserved it, but because Paul deserved it - that Christ had died on that cross for Paul’s salvation, for the forgiveness of Paul’s sins. What a love! Thus Paul’s life was changed forever, and he lived the rest of his life captivated by the love Christ had for him. In Colossians 1:15-18, we have, not three options of determining who Jesus is, but three declarations of who Jesus is as the Lord of all. These three things give us a complete picture of who the man Christ Jesus really is, that by seeing we may rest complete in Him. For an incomplete understanding of Jesus leads to an incomplete Christian who looks to other things besides Christ to make up for his supposed incompleteness, but a complete understanding of Christ leads to a complete Christian who seeks for nothing outside of Christ, because he has found all that he needs met fully in Him. Now I want to draw our attention to a few passages in the Gospel of John, which Gospel truly sets forth this truth of Jesus the Son of God revealing the true nature of God. First, John 16:2-3, “They shall put you out of the synagogues: yea, the time cometh, that whosoever killeth you will think that he doeth God a service. And these things will they do unto you, because they have not known the Father, nor me.” From this passage we can see that to Jesus it is not enough to simply believe in God, to be a theist. In fact, it is those who believe in God, who attend religious institutions for worship, who will think that they do God a service by putting you to death. We have seen this all throughout history and even today, that many horrible things are done in the “name” of God; and unfortunately this is used as an argument against Jesus and against Christianity and against religion altogether. But to reject Christ and God because of those who do not truly know God is to be greatly mistaken. Here, to Jesus, it is never enough simply to believe in God, or even to be monotheistic. It is never enough unless you know the Father. It is never enough unless you know, not merely that there is one God, but WHO that God is: His character, His Person, His nature. It is God the Father that Jesus Christ came to reveal to man. This was His mission. Another passage in John, 14:7-10: “If ye had known me, ye should have known my Father also: and from henceforth ye know Him, and have seen Him. Philip saith unto Him, Lord, shew us the Father, and it sufficeth us. Jesus saith unto him, Have I been so long time with you, and yet hast though not known me, Philip? He that hath seen me hath seen the Father; and how sayest thou then, Shew us the Father? Believest thou not that I am in the Father, and the Father in me? The words that I speak unto you I speak not of myself: but the Father that dwelleth in me, He doeth the works.” To see Jesus is to see the Father. To hear Jesus is to hear the Father. To believe in Jesus is to believe in the Father. Jesus is the revelation of the Father to men, “the brightness of His glory, and the express image of His person” (Heb. 1:3), so that whatever you see Jesus doing you see that it is the Father’s doing it, and whenever you hear Jesus speaking you hear that it is the Father saying it. The work of Jesus was the Father’s. Jesus claimed to not do anything of Himself, but that everything He said and did was by the will of the Father. When we see Jesus dying on the cross for our sins, and saying, “Father, forgive them”, do we see Jesus trying to affect a change in the Father’s heart toward man, or do we see the revelation of the Father’s heart of love toward man? Do we see in the life and death of Jesus Christ the revelation of the One who loved the world so much that He gave His only begotten Son, that whosoever believes in Him will not perish but have everlasting life? A final passage in the Gospel of John, John 1:17-18: “For the law was given by Moses, but grace and truth came by Jesus Christ. No man hath seen God at any time; the only begotten Son, which is in the bosom of the Father, He hath declared Him.” Here we have a marvelous statement of the utmost importance. Without Jesus, no one has a true understanding of who God really is. It is true that the law was given through Moses, and that the law revealed to us something true about God. God is just and holy and righteous, a God of wrath and of judgment, a God who requires absolute moral perfection in order to have fellowship with man because He is perfect. These things are all true about God. But understand, that to know these things is still not to know God. Yes, you know may many true things about Him, but you do not yet know Him, for without Jesus you do not know that which defines Him and makes Him who He is! It is like knowing a person’s physical features, and where they work, and how many siblings they have, and what kind of food they like, and countless other things, yet still not knowing who that person is, because you do not know the essence of that person - the thing about them that makes them who they are. And so to only know God as a God of justice is not false, but it is not truly knowing Him. 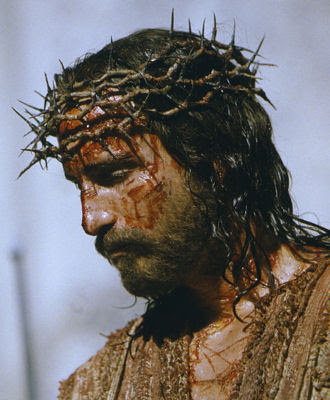 To truly know God is to know Him through Jesus Christ; the God who is full of grace; the God who is seen in the bloody face of Jesus Christ, suffering and dying on the cross for lawbreakers, and extending forgiveness and mercy to those who do not deserve it because He loves them and has overcome the impossible at the cross. This is what it is to know God as He really is! To know God in Jesus Christ is to know the Father - not merely from a distance, but to know Him in His bosom. And so Paul tells us in Colossians 1:12 to give thanks unto the Father, who has made us meet to be partakers of the saints in light by sending His Son to redeem us from our iniquities by His blood, forgiving us of all our sins, and translating us out of the kingdom of darkness into the kingdom of the Son whom He loves. It is Father who is to be thanked and praised when we behold in Jesus the image, the tangible manifestation, of the invisible God. The second declaration about Jesus the Lord in Colossians 1:15-18 is that He is the source, sustainer and purpose of all creation. The Scripture does not say that Jesus was Himself created, as some have erroneously imagined from the expression in verse 15, that He is “the firstborn of all creation”. For this notion is immediately refuted by the following verse: “For by Him were all things created, that are in heaven, and that are in the earth, visible and invisible… all things were created by Him.” (1:16) That Christ created all things that were created is repeated twice for emphasis. If ALL things were created BY Him, then He Himself cannot have been created. If one argues that “all things” might refer to the material universe only, the apostle states that “all things” includes everything whatsoever that is in heaven and on earth, including powers and principalities and authorities and dominions. All things were created by Him. Moreover, if Jesus were Himself created, then He therefore would not be God, because God is not created. Therefore, because we known Jesus is God, we know that He was not created. Jesus was not created, but God the Father created all things by Him. This was no mere man! He was the source of all creation. He is also the sustainer of all creation. “And He is before all things, and by Him all things consist.” (1:17) Literally, “By Him all things are held together.” What an amazing thought! Christ’s relation to creation is not merely something of the past, but of the very present (with also a glorious future). Everything that exists is presently held together by Jesus Christ. Herbert M. Carson writes, “Indeed Christ is not only the agent of creation, but of perseveration. The philosopher may seek for a principle of coherence, a unity amid the diversity of the world of sense; but in the Son the believer finds the true principle of coherence. It is His power alone which holds creation together.” Many philosophers have committed suicide on account of their Christless search for coherence and meaning in the universe which their Christless philosophies cannot produce. They who mock the Savior mock the very One who holds their atoms together. It is in Jesus Christ alone that all the treasures of wisdom and knowledge are hid (Col. 2:3), and happy is the man who possesses them. Now all this is said to show two things: First, to show to those who think that we must worship angels because of the assumed notion that they are the source and sustainers of the world (Col. 2:18) that Jesus Christ is preeminent above even the angels, and that He alone is the source and sustainer of the world. What is more, He is the creator of the angels themselves, and by Him are they even being preserved! Christ is sufficient for all our worship, because He is God, and to Him all worship belongs. Secondly, to show that God’s purpose in creating all things and in sustaining all things is Jesus Christ. “By Him were all things created, and FOR Him.” (1:16) That is, the reason why “in the beginning God created the heavens and the earth” was because God desired to reveal Himself in the Person of Jesus Christ through His life, death, resurrection and exaltation. The revelation of the Father in Jesus is the reason for creation’s past, creation’s present, and creation’s future. It all exists for the glory of God - the glory that is manifested through the Lord Jesus Christ (2 Cor. 4:6). The final declaration about Jesus in this passage is that He is the head of the Church, the firstborn from the dead. The emphatic point is that HE and HE ALONE is the head of the Church, and that nothing more, and no one more, is needed to provide life and meaning to the body. It is interesting to note that in the Roman Catholic tradition, it is believed that the Church would be without a head if there were no human pope (whom they also call “the head of the church”). They explain this by saying that though Christ is properly called the head of the church, yet without the pope (whom they call the “ministerial head”) Christ role would be impotent, for the pope must act and function as his substitute! This is the very notion Paul is refuting. Christ is not only the Church’s proper head, but He is its living, functioning, all-sufficient head (see Col. 2:19). Because He is the head, we need no one else besides Him for our spiritual unity, nourishment, protection, direction, resource, and strength. There is also here the idea of the new creation. Just as Jesus Christ is the source, sustainer and purpose of all created things in heaven and earth, so is He the source, sustainer and purpose of the new creation. He is called the firstborn of all creation; He is also here called the firstborn from the dead. Because Jesus rose from the dead, all those who belong to Him will rise from the dead too! Thus the Church can be described as made up of all those who will rise from the dead unto incorruptible newness. This resurrected body makes up the new creation of which Christ is Lord. In this way God’s intention is fulfilled that Jesus Christ would be preeminent in all things: in creation, in heaven, in earth, and in the Church, the new creation. Jesus Christ is the image of the invisible God, the brightness of His glory and the express image of His Person. It is the revelation of the Father that shines forth in Christ, and this revelation is the crowning head of the Church. The Church is constituted by a people who know the Father, for they have Jesus as their head, and the Church exists for the sole purpose of glorifying God and making Him known. If you don’t know God the Father through Jesus Christ, but have a mere belief in God, or a mere belief in Jesus that does not hail Him as the Son of God, then you have no part in the Church; but if you have known the Father through Jesus Christ, and truly believe who Jesus is, then you are a part of the Church, the new creation, and will live forever proclaiming His glory and the wonders of His love!